Idea Flight is pretty simple in nature. You have a pilot and you have up to 15 passengers. The pilot is in control of the flight and the passengers are along for the ride. I was only able to try this out on 2 iPads, so I'm not sure exactly what it looks like on a full scale 15 passenger trial, but if it is like the 1:1, I will be very pleased. The pilot uploads a PDF and sends out a passenger invite. The invite can be sent through email to all participants. As long as everyone is in the room and sharing wifi, they will be able to join. 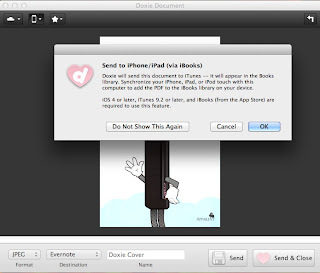 The PDF can be taken from iTunes or a public Dropbox folder. (Dropbox account required). From there, the pilot guides the passengers through the presentation. Don't worry, if there are people in the room that do not have an iPad, the app can be displayed on the projector for all to see. I like the fact that there is a notes section to the app that allows pilots to read saved notes and passengers to take notes. This little addition makes the app worth in in my opinion. There are plenty of presentation apps out there, but how the information can be shared is important to me and the notes aspect allows for ideas to be typed out and saved for later. I would love to put this app on a class set of iPads and really give it a test run. I could see a group of students giving presentations in small groups during a class period. Quick presentations on various topics and then rotating. With each group being a pilot then a passenger. It could be a very exciting presentation style to work with students. Currently, a pilot can only present to 15 passengers. It seems like they are trying to fix that issue. For a class set of iPads, it would require the teacher to be in charge of at least 2 (possibly 3) iPads to make sure that everyone is able to see the presentation on their screen. This is something that needs to be addressed sooner rather than later if Idea Flight has a chance to make a leap into the classroom. As it stands, it is the biggest fault to the app in the education world. Price: The $9.99 price tag is a bit steep, especially if you wanted to place this on a class set of iPads. I know bulk pricing will cut the price down, but for 30 iPads, it will be a nice chunk of change. 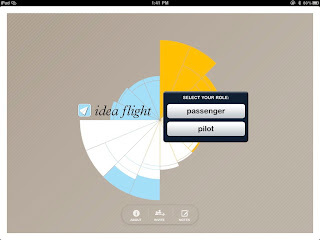 Now, the alternative would be a couple Pilot apps and the rest of the students could be passengers. With some creative planning, this could work well in the classroom. The site says that there will be more in app upgrades in the future. That sounds like more money for more features in the future. I would recommend that a teacher, who is big into presentations in PDF format, give this app a try on a limited basis to see how the students interact with it. If the students like the ability to have the presentation at their fingertips, then purchasing more Pilot apps might be the next step. I look forward to see what additional add-ons Idea Flight Enterprise is going to bring in the future. They might make the difference from a suggest to a must have. Full Disclosure: I was given a copy of Idea Flight Enterprise for the purpose of a review. Full Disclosure: I was sent a copy of this app for the purpose of a review. It's been a while since I've done an app review, but I'm glad I started back with Shake-a-Phrase by Artgig Studios. 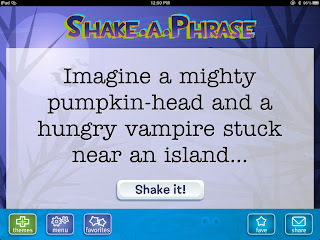 Shake-a-Phrase is a fun app thats purpose is helping with parts of speech by using crazy and funny sentences. It is a wonderful idea that kids will have a great time using. It can be downloaded on the iPad or iPhone/iTouch. There are three different parts to the app. You can use the Shake it! This will create random sentences that the user can read and select words to get the definition and the part of speech it belongs to. It is a very simple part of the app that is tons of fun. The sentences were silly, but easy to understand. They might not make a ton of sense at times, but that really isn't the point. The picture on the iPad is very clean and the words are easy to read. It really is a great UI for all ages. If you are looking for students to write stories of their own, consider using the Story Starter part of the app. The Story Starter starts the user off with a crazy sentence and leaves the rest up to the imagination. This is a fabulous example of starting a story in the classroom. The kids could have a field day with this type of starter. My mind actually raced for a bit as I thought of crazy extras to add to this story. This is wonderful for a teacher looking to get students writing creatively. Lastly, there is the Quiz Me! portion of the app. The Quiz Me! 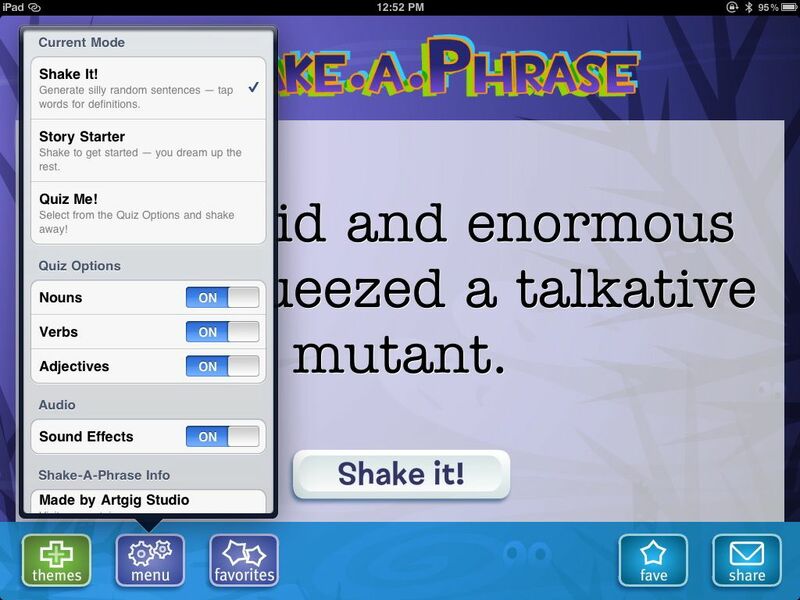 portion of the app places a silly sentence on the screen and asks the user to identify verbs, nouns or adjectives. It worked very well and I made it to level 11until I moved on to other parts of the app. The difficulty increased as I moved along and I could see kids challenging each other for bragging rights on who went the farthest. 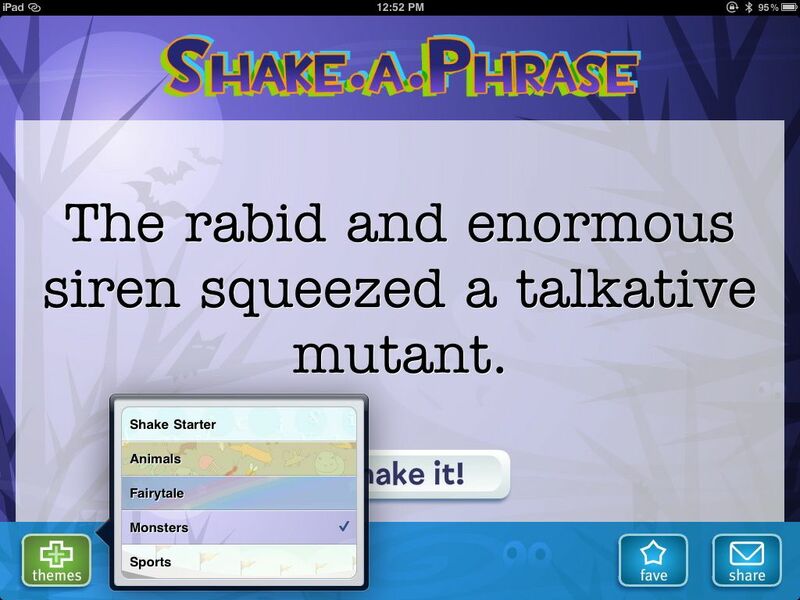 Shake Starter will provide random sentence goodness and Animals, Fairytale, Monsters and their new theme, Sports. The sentences match up to their respective themes and are fun to use. You can see that I really liked the monster theme. The little boy in me just found them too funny not to use. The new sports theme is just as solid as the others and I look forward to more themes being added over time. The app has a couple of extras that I really like. The Fave button allows the user to store their favorite sentences and the share button allows the user to email the shake screen to a friend. I have already emailed one crazy sentence to Tim. I really like this app and think it can be used by teachers in the classroom. The UI s fabulous and the app looks amazing on the iPad2. Everything was crystal clear. The Themes were fun and refreshing and always creative. I went through over 100 shakes and I never saw a duplicate sentence. I looked weird as I sat there shaking my iPad, but I always had a new sentences to read. Sharing the sentence and saving them for later was just a simple tap of the screen. I can see the iPad being connected to a projector and students having a blast as they try to finish the stories started or point out the nouns, verbs and adjectives in the wacky sentences. For $1.99, I think it is a steal. I would recommend that teachers pick up this app and share it with their students. It can be used together as a class or by individual students. 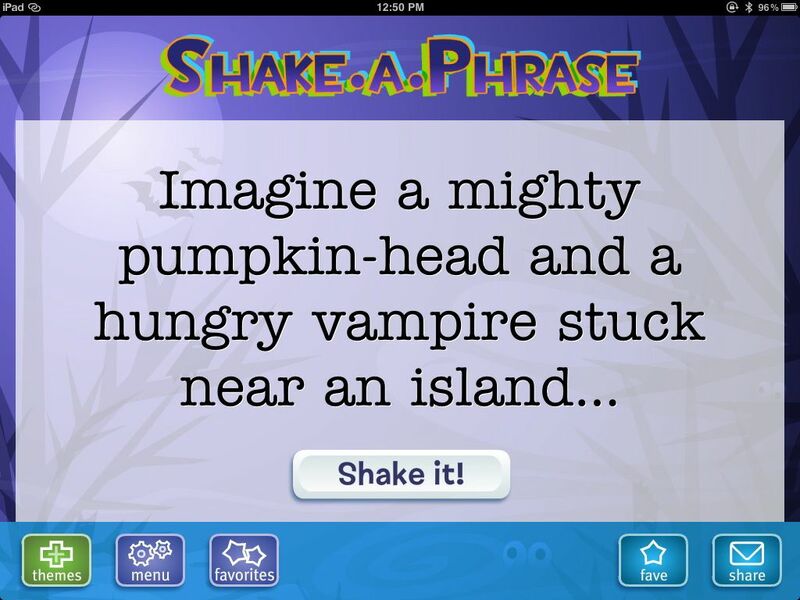 Shake-a-Phrase is a great app that will keep students laughing and learning. I'm highlighting another awesome lesson that has been submitted to the Adobe Education Exchange. If you want a chance to win amazing prizes, you just need to sign up and share your lesson with the Education Community. Read my previous post for more details. This week I looked at an awesome lesson submitted by Nicole Dalesio that uses Photoshop with her students. 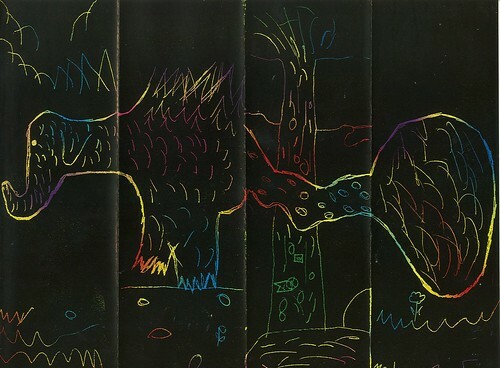 I remember doing Scratch Art when I was younger and still think it is really cool what people can create with it. Here is a video that Nicole did that explains how she uses Adobe Photoshop with her students. My favorite part of this lesson is that it is accessible to students of all ages. Once a teacher shows the students how to use Photoshop, the kids can start creating. I'm a big fan of just letting student create and seeing what they come up with for their project. This lesson really allows students to be as creative as they want. If you love this lesson, you should join the Adobe Education Exchange and rate this lesson. Nicole is in the running for some great prizes and needs your votes to make it to the finals. If you want to chance to win great Adobe products, all you have to do is join the Adobe Education Exchange and submit your awesome lesson and share with the rest of us. I can't wait to see what you have to share. Disclaimer: Adobe is a sponsor of The Nerdy Teacher. These are the most valuable words I can share with you as venture into the most nobel profession the world has ever known. You will be faced with times where you think you should act a certain way to impress a colleague, but I assure you that you do not want to create an image that is not true to yourself. Kids respond to the real you. The real you got hired to teach these kids, so why be someone else? I struggled with who I wanted to be in school and if it would be accepted by my peers and the students in my class. Once I decided to fly my nerdy flag proudly, much of the stress of the day to day was gone and I was surprised at how nerdy some of my fellow teachers really were. I made stronger connections with my students and learned more about them when I was more open with them. I love what I do and I know that I have been successful because I am proud of who I am and I wanted to let the world see the real me. I wish you and all returning teachers the best of the luck this school year. Your PLN is here for you if you need anything. 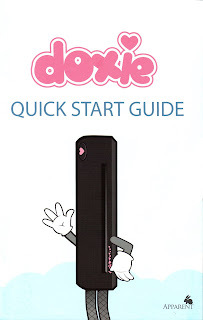 This is the scanned cover of the Quick Start guide that came with the Doxie U. Scanner. The picture is beautiful. It looks like I just copied the page from the website. Here is some info on the Doxie Scanner. Free included software for scanning and sharing for any supported PC or Mac. 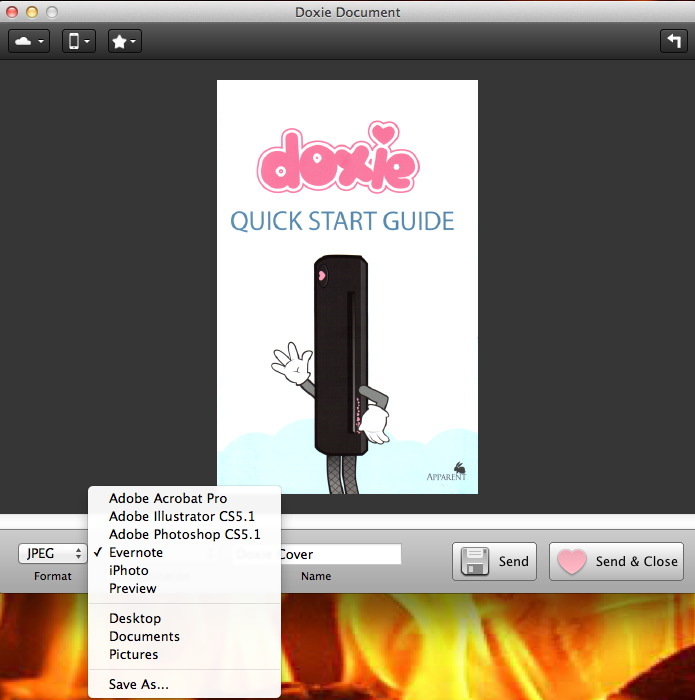 Works with dozens of desktop and web apps for sharing, archiving, photo editing, OCR, and more. Save as PDF, JPEG, or lossless PNG. Free USB 2.0 port; Windows XP/Vista/7, or Mac OS X 10.5 or later. It really is the perfect size for travel. It also comes with its own travel bag to keep it secure. The Doxie U. is very easy to use! 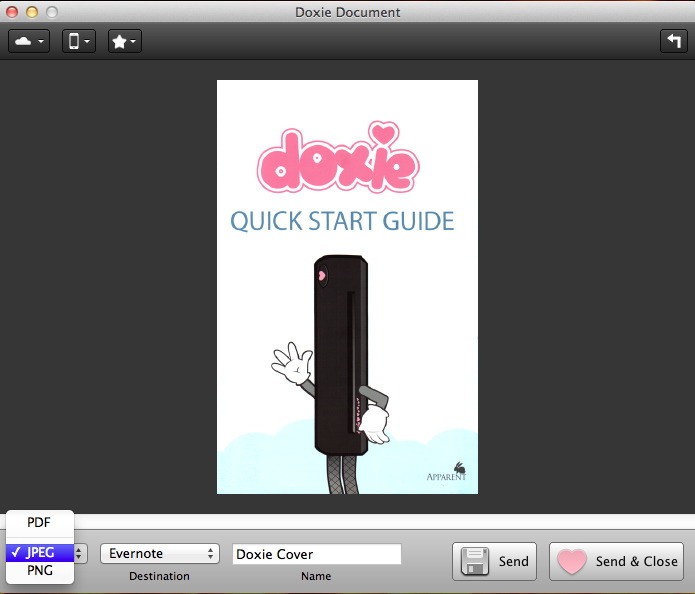 Before connecting the USB, I needed to go to getdoxie.com/start and download the Doxie App. Once I had the app downloaded, I connected the scanner and used their calibration sheet to calibrate the scanner. That process took less than five minutes. From there, I was ready to go. I scanned the cover of the Quick Start Guide because I loved the colors and I really wanted to see what this could do from the start. I was not disappointed. Once the the image was scanned, I was offered a host of options. The first options are saving the scanned document as a PDF, JPEG or PNG. If using a PDF, you are able to scan multiple pages to keep them on one PDF file. Once I select the format, I have tons of great options. I can send it to Adobe so I can do some editing, I can send it to Evernote to store for later, send it directly to iPhoto to for later or I can just save it to the desktop. These options are fabulous, but it doesn't stop there! I was also given the option to send the PDF directly to iTunes where it would be stores under books. I freaking love this option. As an English teacher, I could have students create stories in class, scan them to iTunes and I could upload all of them to the class set of iPad2s I so desperately want. The connection to iTunes is a wonderful addition to this excellent scanner. If you want to scan pictures, you are able to send them directly to Flickr. If you have random photos floating around the house of old classes you taught, this would be a great way to scan them and keep them online. You can also connect your Twitter account to Doxie. I sent a tweet of the Quick Start Guide. The file is stored on Doxie and I can determine how long I want it to be available for download. Anywhere from 1 week to 1 year. I was also able to connect Google Docs to my Doxie account and I scanned the image and sent it right over to my Google Account. I am very impressed. The only thing this scanner does not do is connect to Dropbox. That would have it connect to all of the place I keep documents. It is something they should look into. I see myself using the scanner to take my handwritten notes I make while lesson planning and scanning them into Evernote and iTunes so I can have digital copies of my notes instead of the Steno Notebook I use day to day. It will really help clean up the clutter of multiple notebooks on my desk with all of my lesson plans. I can also finally scan in some of those older documents I do not seem to have digital copies for. To get a Doxie U., an educator or student needs to show academic credentials (School ID) and it can be had for $119. I think this price is very affordable for what it is able to do. I've actually needed a scanner for a while but did not want to spend a ton of money and have it take up a ton of space. Now, I can take this with me to conference and scan handouts quickly and store them to my iTunes and/or upload them to Evernote so I can access all of the documents on my iPhone and iPad. Overall, I happily recommend the Doxie U. for educators and students looking for a quick and easy way to store paper and help cut down on the clutter. 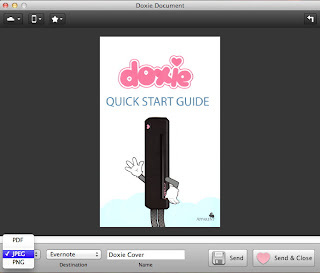 Full Disclosure: Doxie sent me their Doxie U. scanner for the purpose of a review. #ProjectPLN has an exciting new home and we are looking for a few more posts for our September Issue. We already have some amazing posts we cannot wait to share with you, but are always looking to hear from as many of you as possible. We are now accepting posts for the September Issue of Project PLN. Our theme for the September Issue is Getting Started. We would love to hear from all of you about the ways you gear up for the school year. These posts can be about things you do personally, things you do with students or things you do with your staff. 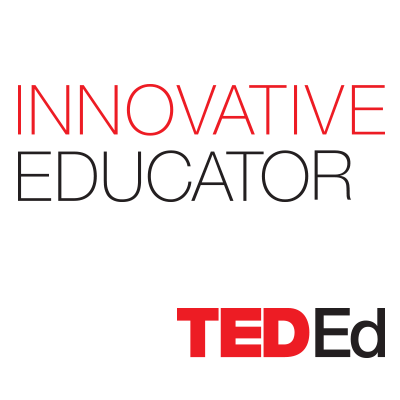 We want to share these great ideas with educators all over the world. You do not have to be a teacher to share your thoughts. We think it is important to hear from all of the stakeholders in education. Parents, administrators, secretaries, librarians, etc. are all welcome to share their thoughts with us. Please provide a bio of yourself to be added at the end of the post. We would like to have pictures accompany each post, so please add one if you can find one. We would like all submissions by Friday August 26th. If you have any questions, please feel free to send us an email or contact us on Twitter (@ProjectPLN) or Facebook. Thanks for all of the support you have shown us and we look forward to another great year! This is another entry on my coverage of the Adobe Education Exchange contest. You can read more about the contest and how to participate here. I wanted to share with you the type of lessons that people are submitting to the exchange when they enter the contest. Take a look at this awesome lesson from Tom R. Chambers that uses Google Earth and its flight simulator and Photoshop to motivate students to study history and geography. "It is considered to be the longest river in the world, and it's associated with irrigation by the Egyptians as far back as 4000BC. 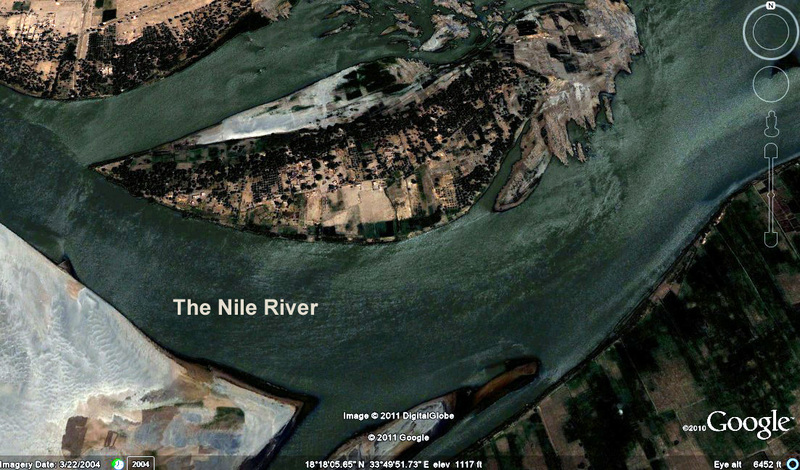 The source of the Nile and its life-giving floods was a mystery for centuries. Ptolemy held that the source was the "Mountains of the Moon," and the search for these and for the origin of the Nile attracted much attention in the 18th and 19th centuries. And of course, Cleopatra and her people were associated with the river. 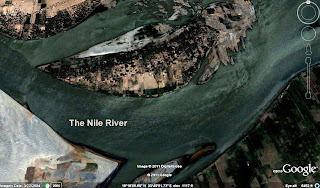 Take the above facts/situations, and build a lesson plan around them by having the students explore the Nile River via Google Earth and the flight simulator to get a sense of how long the river is. Actually have them fly at a low altitude to follow the bends and twists of the river. As they fly, they can hit the space bar to pause the flight to take notes, perhaps, on what else they see." You can find another example of using Google Map's flight simulator with Photoshop by checking out his lesson. If you like what he has done, don't forget to leave a comment and rate it using the stars like I did. Tom has a chance to win some great prizes because he decided to share is awesome lesson with teachers on the Adobe Education Exchange. You could also be in the running for great prizes. Join the Adobe Education Exchange and submit a lesson. Pass it around to your friends so they can join up and vote for your lesson. Check out my last post for more details. Full Disclosure: Adobe is a sponsor of The Nerdy Teacher. I was able to attend the @StrongerAmerica #MakingTheGrade event hosted in Detroit by MSNBC. I was curious about attending this panel discussion on education. Since it was in my backyard, I figured it was up my alley. I'm not going to go into great depth in this post, partly because the #MakingTheGrade didn't and that is one of the issues I had. Everything was neatly boxed into 12 minute segments on the various issues in education. Once they hit the time limit, they were ready for the next issue. I think that is a problem with having so many panelists lined up. If a quality discussion develops, it has to be killed to allow for the other talking heads to have their say. That sounds mean. I'm sure the people on the panels are all very good at their jobs and have a certain level of experience that is important. I will not tell them they should not have a voice because that would not make me any better than the people who silence teachers. I actually asked @TamronHall during a break why current classroom teachers were missing from the panels and she said there was one. I'm not sure who she was talking about because nobody that was on stage spoke about their time in the classroom. I would really like to see a panel with teachers talking about the problems they encounter and what they need to make their schools better for the students and the staff. I was surrounded by passionate people from the Detroit area that were mostly upset about the current state of Detroit Public Schools. It was nice to see people ready to speak up, even if they were not given a chance to speak. There were some students there, but not nearly enough. I would have loved to see students on the panel now that I think of it. Why not ask the students what they actually need? I used the quote from Elliot because I'm an English Teacher Nerd and I feel it sums up how this event, and many like it, seemed to end. Everyone talks about the end of public education and it gets everyone riled up, then we move on to the next show. For real change we need to start with a bang and end with a bigger bang. Empower the people that are ready to make the changes we need to see in our schools so they can be successful. Stop looking for the silver bullet and start listening to the stakeholders (Parents, Teachers, Students, Businesses, etc.). Many will view this entire show as a pointless. It's hard to argue against those people. However, if one parent, student or teacher decides to become actively involved in changing education because of something they heard during the discussion, then maybe it is a success. I prefer to look at the positives in any situation. I saw a tweet come across from former student about TEDxDetroit. I followed the link and thought about attending. I have never been to a TED event and I've heard it is awesome. As I was reading more about what there was to see and hear at TED, I felt like there wasn't a voice for education in the mix. Right now, especially in Metro Detroit, people need to be talking about education and ways that we can all make it better. So, I've decided to volunteer to be a voice for education at TEDxDetroit. 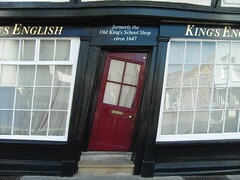 My presentation will be Knocking Down Walls: Connecting Students with Social Media. I will focus on my work with Van Meter and The Epic Romeo and Juliet Project. 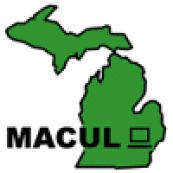 I want to show the Metro Detroit community that there are great things going on in education and they should get involved to support the teachers out there that are striving to bring a top notch education on a shoestring budget to students. I've presented at ISTE, MACUL and online, but I feel like this is bigger than all of those combined. I'm going to be speaking to a group of people that are not educators. It's a big challenge, but I feel I'm up for it. I feel like I can't let the politicians have the only voice in education. I'm ready to bring it. Wish me luck and I hope I get a chance to spread the great things all of you do every day. Help support a girls robotics club for @MBTeach! 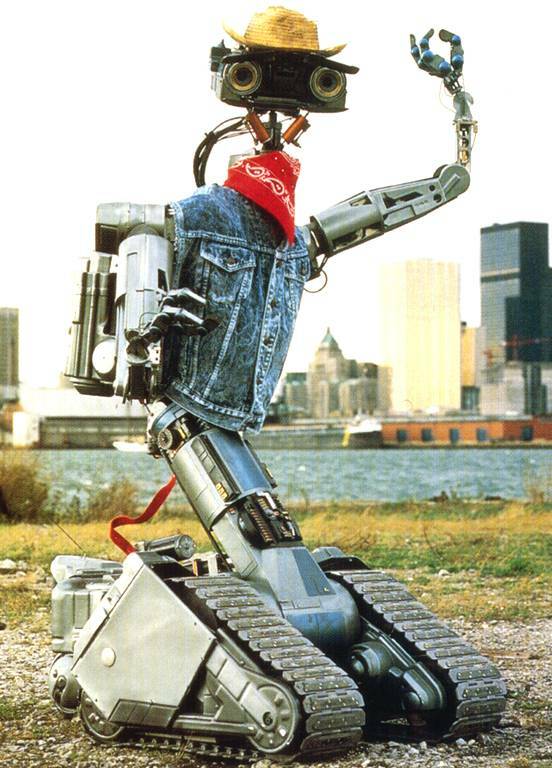 Johnny 5 would donate to Mary Beth's Girls Robotics Team. A good friend of mine is trying to start a robotics club for girls at her school, but she needs help with funding. You can find all of the details on her site here. I felt the need to write a post about this because I think it is another great example of what teachers do every day around the world. Teachers volunteer their time to help with so many after school programs, the average person doesn't realize that effort that goes into it. They also don't realize that we do it because we want to, not because it's in a contract or we are making big bucks. I applaud Mary Beth for taking on this project and I applaud every single one of you out there that have donated your time to create a better school environment for your students. I was able to get my hands on the Easi-Speak Digital Microphone and I played with it for a while to see what it can do. The microphone is very simple to use and has everything a teacher and student could need for recording short messages. It has a record button and a pause/play button. It allows the user to skip ahead of recorded tracks to find the one they are looking for. It has volume buttons and the standard on and off button. One of my favorite parts is the the string attached to the cap that conceals the USB drive when not in use. If this cord was not attached, I know this cap would be missing in 24 hours once the students got to it. The device fits nicely in the hand and is point and click ready to record. Once the recording is done, it can be plugged into a computer and the files are easy to pull off. I did a couple of quick recordings and found them on my computer once I connected the microphone. Another neat feature is the ability to add recordings to the microphone from the computer. I could record something from my home computer and upload it to the microphone for students to listen to. Its a nice touch to a nice piece of equipment. The Easi-Speak also comes with Audacity for the user to download. Audacity is a nice tool to use when editing the recordings for the various projects the students and teacher are working on. For me, I see this device being very helpful with my journalism students working on our digital newspaper, The Tower Pulse. Students could record interviews and conversations to be uploaded to the site or use as they write their articles. Students are sometimes so rushed to get accurate quotes, they might miss something else. This will allow them to focus on the interview. Another fun use of microphone could be story telling. Students could add sentences to a story and pass the microphone around to hear what everyone said and add their part. This would be a great way to get students collaborating on a story and end up with something funny to share with everyone. I could also see this microphone coming along on field trips so students can share their thoughts on the things they are seeing. This is a great way to keep students engaged and it will great something that can be shared to parents and the rest of the class. The Easi-Speak is priced at $69.99. That might seem a little steep, but the application possibilities are endless when it comes to this microphone. Students can record themselves anywhere they are for varied projects. While this microphone might lend it self to the lower grades more readily, I think it could prove valuable in the upper grades for a creative teacher. I would recommend that teachers in my district consider purchasing some of these with lessons in mind. I have an extra Easi-Speak Digital Microphone available to one of my lucky readers. In the comment portion, please share with everyone one way you would use the microphone in your classroom and I will choose a winner at random. Full Disclosure: Learning Resources sent me the product for the purpose of a review. This is the video from Day 2 of the #140EDU Conference that was held in New York. There were many amazing speakers, but I want you, the administration of my district, to jump ahead to the 1:14:30 mark and listen to Eric Sheninger. 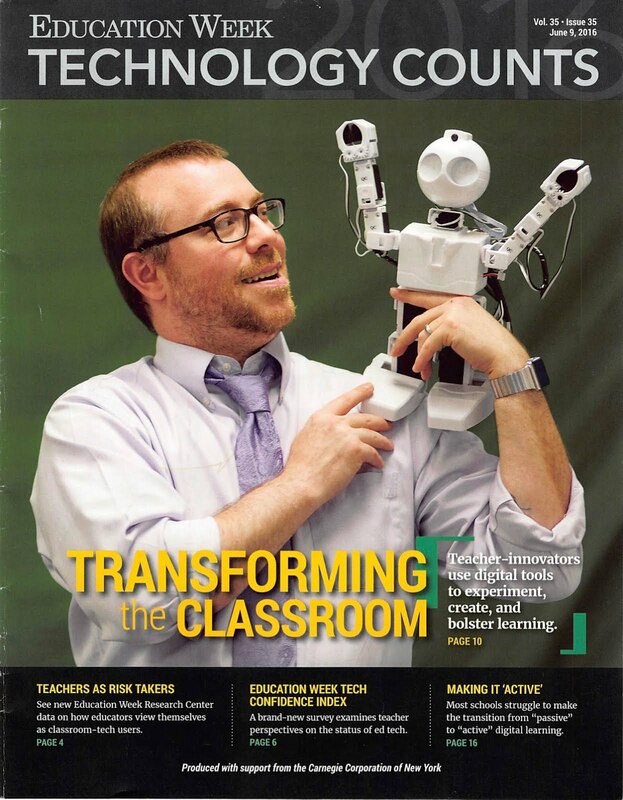 Eric is the principal of New Milford High School in New Jersey. In 2009, he was against all Social Media in his school. Today, he is one of the biggest advocates of Social Media in Education. He has some exciting things to say. I've met Eric a few times at conferences and he is just as passionate in person as he is on stage. He has given me great advice on how to use Social Media in my class and I think he makes some great points. To be honest, he makes so many great points I cannot go into all of them here. I will point out a few that I think we should be doing and can do ASAP. Eric talked about the old way to communicate with the community. Snail mail and websites are not reaching the people they need to reach. Twitter and Facebook are great and free ways to reach parents and students. While we have a district Twitter account and one high school has an account, why not everyone? Why shouldn't every school have a Twitter account that can send out updates on the great things that are happening during the day? Are there sporting event today? Tweet out the information to the community. Facebook is a place where our families, friends and students spend time. Why not have school Facebook accounts? You can connect Twitter to Facebook so updates are posted directly on the Facebook wall after you send a tweet. If we really want to reach out to the community and share information with them, we should be striving to put the information in places that people can find it instead of burying on a page on a website. It's free. What are we waiting for? Right now, everyone else is writing the story on education accept schools. Nobody is going to hear about the great things classroom teachers do every day if the school doesn't support. Why not recognize some of the amazing students, teachers and administrators in the district? Show off the amazing things that happen every day. We want the community to know about the amazing things going on and we shouldn't have to rely on Patch or other news sources to do it for us. Why are schools afraid to spread the good word? I want to end on Student Engagement because I think it is one of the most important elements of this speech. Eric says that his students are excited to come to class and use the tools that he has helped bring into the school. He says that math scores have gone up in one group of students. Not because there was technology, but sound pedagogy infused with social media and technology. Now is the time to stop banning and blocking. We need to move to a more open technology policy and support the teachers and students that are excited to to try and do new things. My Assistant Supt has been pushing to do some different things and that gives me hope, but we need everyone on board. The question everyone would should ask their administration is why not? Why do we not share great things with the community? Why do we want others to control our image? These are the important questions as we move forward. The time for talk is over. If we truly want to be a leader in education technology, we need to walk the walk. My boots are laced up. Below you are going to read about a Prototype that started with an idea to engage learners and bring the classroom out of the classroom. This came about after a 2 day boot camp were educators and designers learned about Design Thinking. I will get around to a post on DT, but I wanted to share this idea with everyone because I'm excited about it. This is all very rough, but I like the direction it is heading. These are two examples I put together on how I might use QR codes in the classroom in conjunction with a local park and a local museum. I would love to hear your comments. I've know about QR Codes for a while but The Daring Librarian is the bomb when it comes to them. These lessons assume that the students would have access to a class set of iPads. Any tablet would work for these ideas. I use iPads because that is the tablet I'm familiar with. Anyway, here are the lessons. Here is an example of what the QR Quest could look like in the Language Arts Classroom. This example is based on the American Literature Class for Sophomores. Students would read American Folk lore and learn the meaning behind these stride and their value in society. Students would go to the Henry Ford House to see the Fantasy, Folklore and Fairy Tales exhibit. Students would look at the art on display and create their own stories based on the art they find. The students would spend the next few days creating their own stories based on the picture alone. The iPads allow them to create videos, photo collages, songs, poems, etc. Students would then post their creations to a digital space and create QR codes to share with the Henry Ford House. These QR codes would be placed next to the art to be scanned by visitors. A display could be set up at the school that has the QR codes along with reproductions of the art for people in the school to see. The mobility of the tablets allows the students to create on the go. They are no longer tied to the classroom. The classroom is wherever the student goes with the iPad. A unit like this could be done in 5 class period or longer depending on the depth of the stories and the length of the student created project. Here is a project outside of the classroom involving local parks. After discussing Thoreau's Essay and the concept of Transcendentalism, students would leave the classroom and go to a local park to be inspired by nature the same way Thoreau was when he was at Walden Pond. The students can use the apps on their tablets to edit and create whatever they want. Students are now engaged in the material in a way that was not possible. Once students have created their digital inspirations, they will create QR Codes for them. 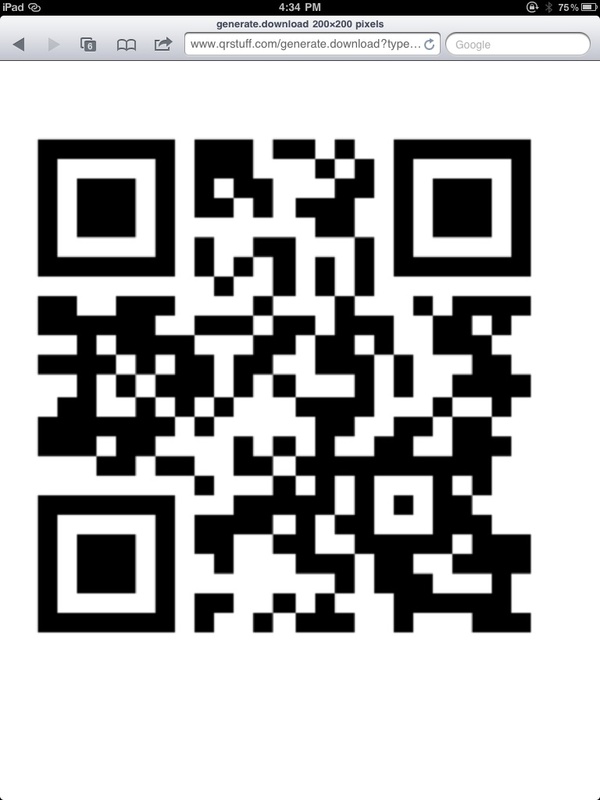 Scan me, this code works! These QR codes can be laminated and posted along the trails of the park where students were inspired. People would scan these and interact by leaving comments and providing meaningful feedback. Students would no longer be creating content for the teacher alone, but the community as a whole. These are just a couple of lessons in language arts, but I could see this being used for social studies, science, art and so many other content areas. Allowing the students to be creative is the best thing we can do as teachers. 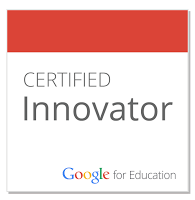 I'm working on making this possible in my district for the fall. 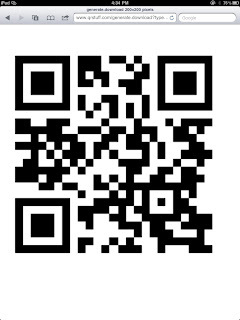 I have a handful more ideas I could work with using QR codes. Share your ideas so I can share them with my Admins! 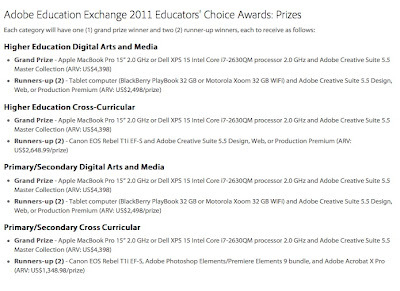 I'm proud to announce The 2011 Educators' Choice Awards by Adobe Education Exchange. 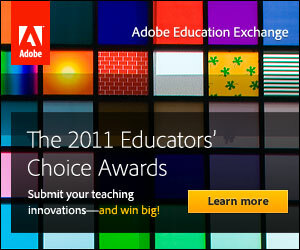 The Adobe Education Exchange is a place where teachers can share lessons using Adobe Products. There are lessons that span across the curriculum for teachers to use in their own classes. It is free to sign up and start looking at some amazing lessons. 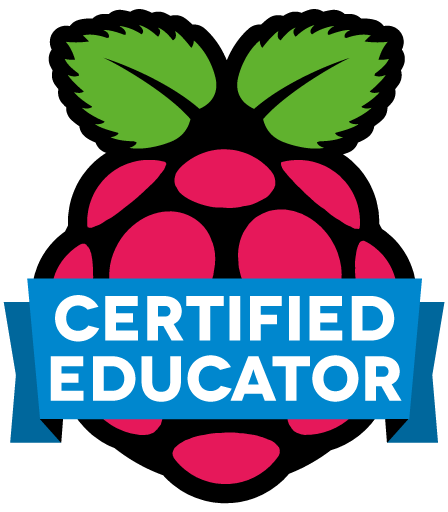 The Educators' Choice Awards starts accepting lessons August 1st and are voted on by fellow members of the Education Exchange. So, teachers will be evaluating the lessons submitted by other teachers! First, you need to be a member of the Adobe Education Exchange. Next, you need to submit your lesson. You can do that here. You will be eligible in one of 4 categories. From there, start to look around and see the great resources that have already been submitted. Start rating their lessons and spread the good word around. Here is a timeline that Adobe has provided a timeline on their site, but here it is for all of you. 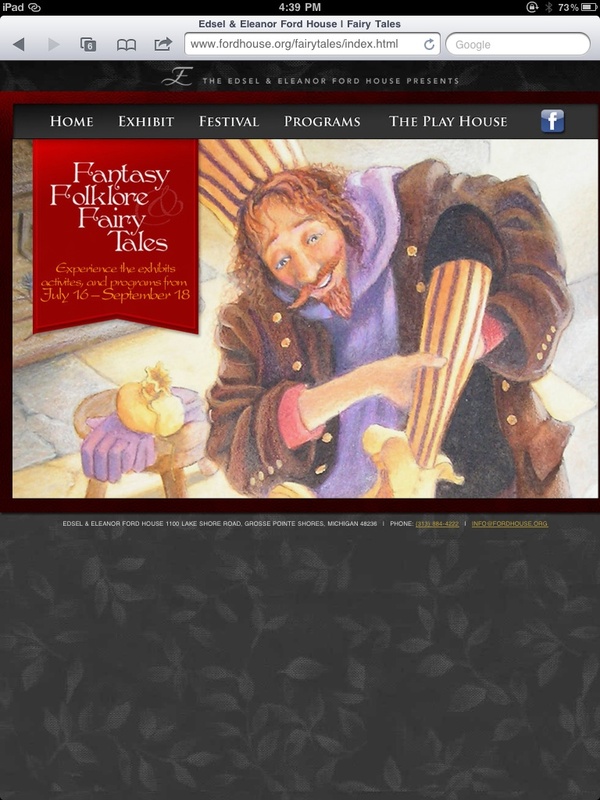 The contest began August 1st and teachers can submit lessons until October 14th. During the submission period, other teachers can rate the lessons submitted to the contest. The Finalists will be determined from October 14 - October 17. Once the finalist are selected, members of the Adobe Education Exchange can vote on the finalists in each of the four categories from October 17 - October 29. After October 29th, a winner and two runner-ups will be announced November 9th. There are some awesome prizes for the lucky winners. Computers, Tablets and Software go to the winners of this great contest. I'm a big fan of winning prizes for being creative. This is exactly what this contest is all about. Letting educators share how they use Adobe products in a creative fashion. What's even better is that the contest encourages sharing those lessons with other teachers. I intend on following this contest closely and will be providing updates for all of you. I hope you plan on uploading some great lessons to the Adobe Education Exchange and passing this along to others. Stay tuned here for more updates and surprises. #ProjectPLN has a new home! Hello everyone! 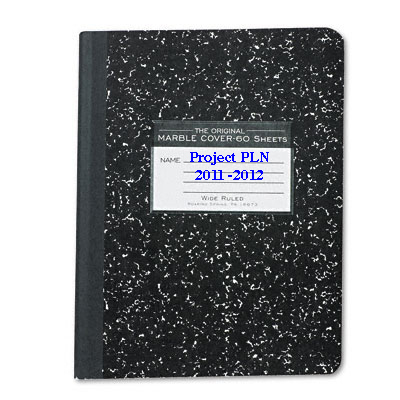 After taking some time this summer to relax and get organized, #ProjectPLN is back! For those of you who do not know what #ProjectPLN is, it's an online magazine that publishes posts from members of our PLN from all over the country. One of the best parts of the #ProjectPLN is that it is free! Each month, the editors choose a topic for the next issue and we ask our PLN to share their thoughts in the form of a post. We publish every post that we receive. Once all of the posts are collected, we put together the posts in one spot and share it with the world. We are now accepting posts for the September 2011 Issue. Our theme for this issue is getting started. We would love to hear from everyone on how they get started for the school year. This could be getting started with your students, staff or even getting yourself ready for the school year. There are so many creative ways to get ready for the school year, we would love to have you share them with the rest of our PLN. We are looking forward to an exciting new school year with exciting new ideas to share with our PLN. Please pass this around so as many people as possible can join the fun.